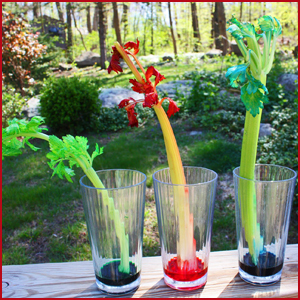 If your children are more budding scientists than bakers, or you just want something fun but educational, why not try some funky science experiments that you can do with a few simple kitchen items. Younger children will enjoy the process itself and older ones can learn something from some simply explanations of the science behind them. You can make your own lava lamps using a pop bottle, water, vegetable oil, Alka Seltzer and some food colouring. This is one for the garden rather than the kitchen. Simply drop a couple of Mento sweets into a bottle of cola and watch it explode! You can explain the science or why not challenge older children to research it and tell you why it happens? There are details on all of these, plus other ideas on our Pinterest board Summer Kitchen Activities for Kids. If you try any of these or have ideas for other scientific activity you can do at home then comment on here or join in the conversation on our Facebook page - don't forget you can win a £25 Toys R Us voucher just for joining in! Next week we’ll be looking at creative and imaginative play so come back on Monday 4th August for more summer holiday ideas. Click here to see all the Summer Kitchen Activity blogs so far. 0 Responses to "Summer Kitchen Activity Guide Part 2: Kitchen Science"